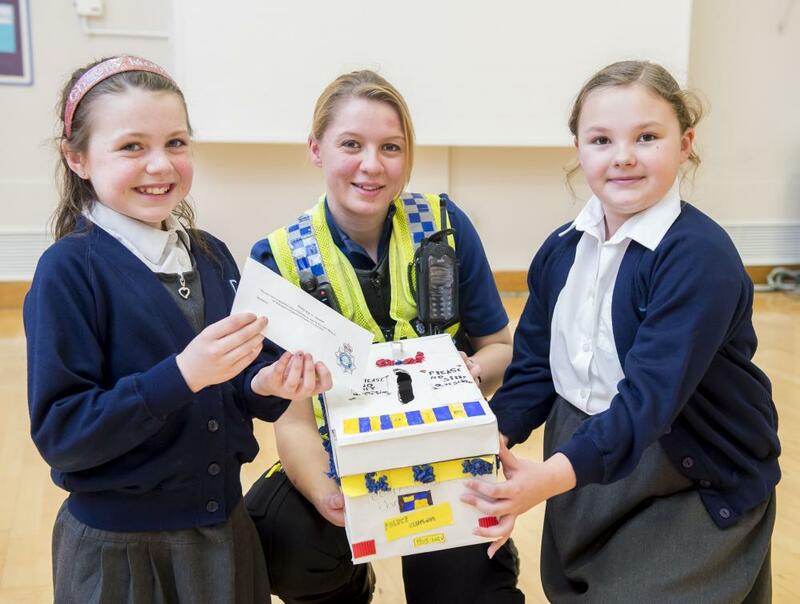 The Ask It Basket winners - Year 4 Reynolds Academy pupils Lilly-Grace Jury and Francesca Norman representing Pegasus Class, with PCSO Cat Toyne. The whole class will now get a tour of the police cells at Cleethorpes Police Station. A competition encouraging pupils to see their local police officers as more approachable has won Reynolds Academy pupils a trip to the cells! 'Ask It Basket' was set up by PCSO Cat Toyne and involves classes designing colourful baskets into which they can put questions they wish to ask her. Every four weeks the PCSO visits the Academy for an assembly to answer their questions, or she writes them a personal reply. 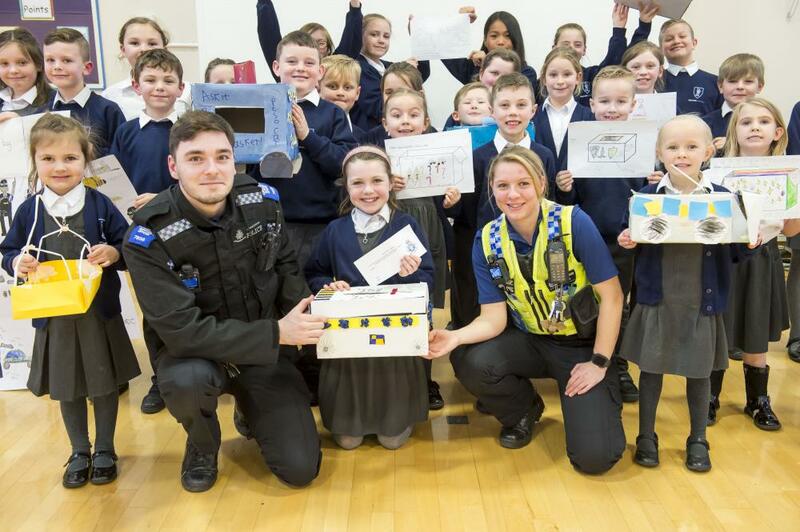 The winning class was Year 4 Pegasus, who will now get a ride in a police car with the sirens on, and a look around the empty cells at Cleethorpes Police Station. They will also go through the booking process for the cells, have their fingerprints taken and have their pictures taken in police uniform. PCSO Toyne said: "I set up this concept because I think it is important for the children to know that I am a friendly face and not just someone scary in a uniform. I think in this town if you see police en masse you think something has happened. I want the children to know that it doesn’t matter whether it is me or another person in uniform, if they have got a problem they can come and speak to us. "I get asked all sorts of questions from fishing laws and is it right to throw a fish back into a pond, to teenagers in parks, anti-social behaviour and criminal damage. Sometimes they try to push the boundaries to see if they can get away with things, but It is important for the children to know that they can come to me and I will answer their questions honestly." Reynolds Academy and Humberside Police 'Ask It Basket' Competition. Front Row: Poppie O'Brien, PCSO Darian Hullett, Lilly-Grace Jury, PCSO Cat Toyne, Ava Dickinson. Back Rows; Alicia Hicks, Leon Bee, Francesca Norman, Riley Barratt, Maddison Randall, Thomas Rice, Millie-Mae Roberts, Reuban Cook, Evie Green, Jessica Wilkinson, Edie Thickett, Harry Hodgson, Oliver Flello, Gracie Barley, Sophia Ami, Amie Barnsley, Trinity Prestidge, Spencer Smith, Alexa Raio, Alfie Welburn, Theo Taylor and Amari Capon.